Universal App! iPhone, iPod Touch, AND iPad. Buy once and use on all your devices. Are you a student of the martial arts but are puzzled by some of the Japanese terminology? 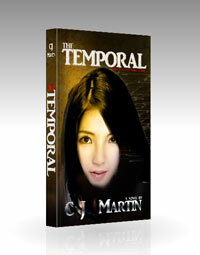 Are you interested in karate, Japanese culture, or the Japanese language? Do you have children taking karate? Never studied Japanese? No problem! This app was made for you. 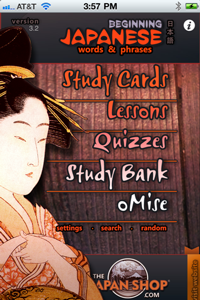 ALL vocabulary words have AUDIO recorded by a Native Speaker of Japanese! 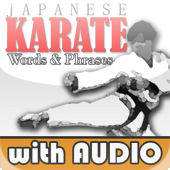 This Karate Vocabulary app contains over 300 words (double since our launch) often heard during karate classes–all with audio by a native Japanese speaker.